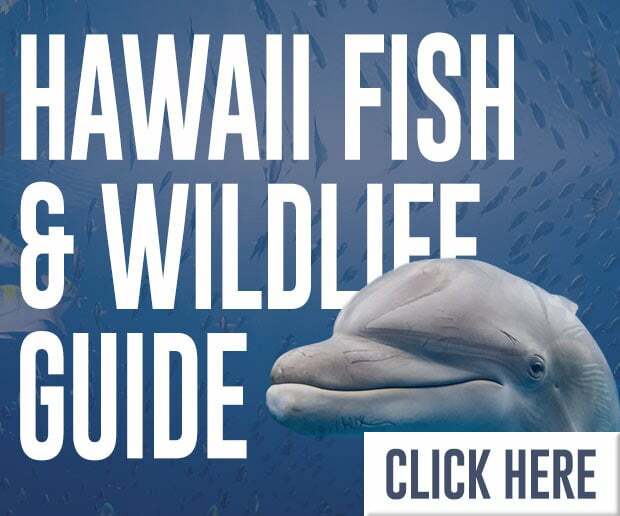 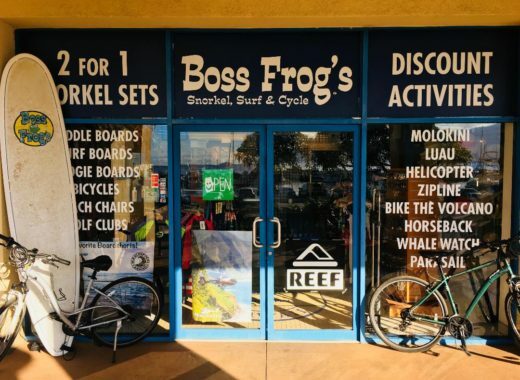 Boss Frog’s currently operates ten great locations on Maui. 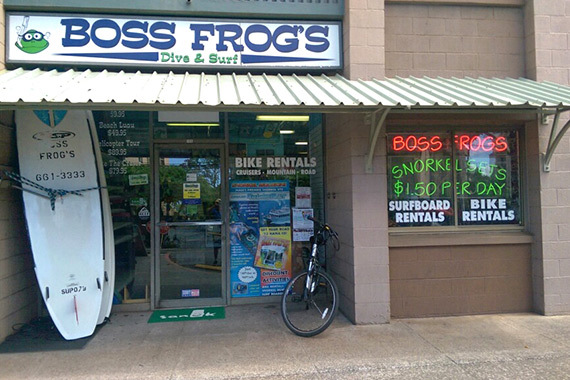 For driving directions, maps and store information, choose a location from the list or map. 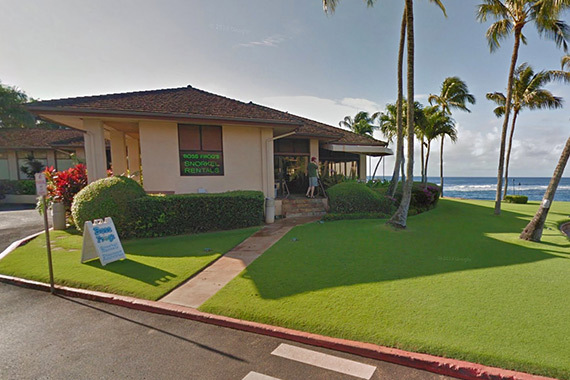 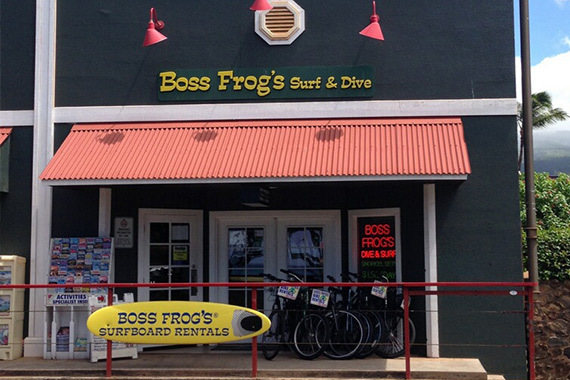 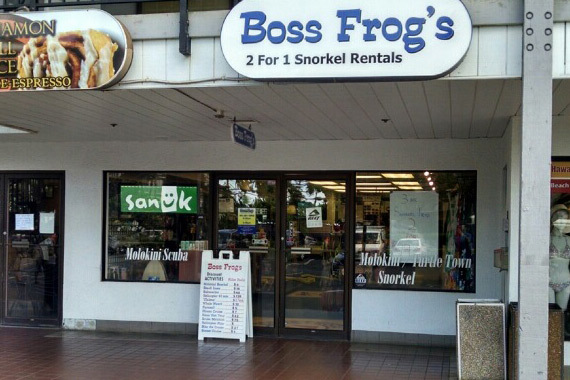 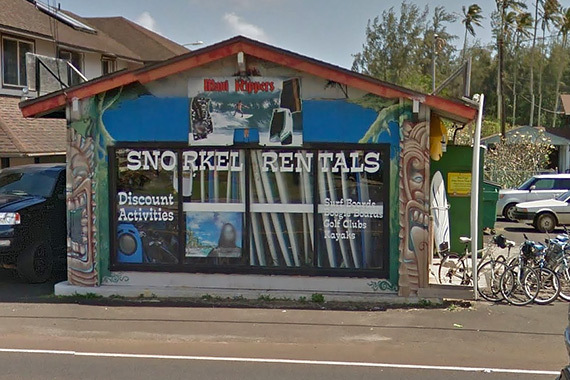 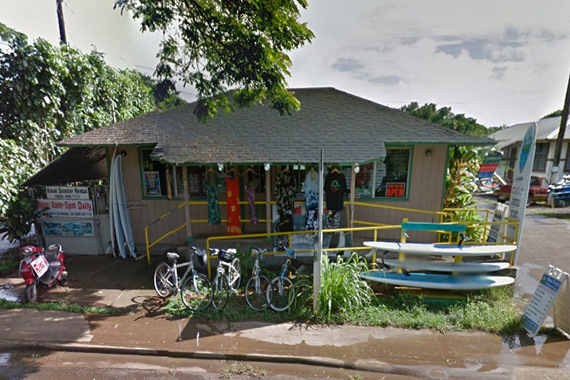 Boss Frog’s currently operates three great locations on Kauai. 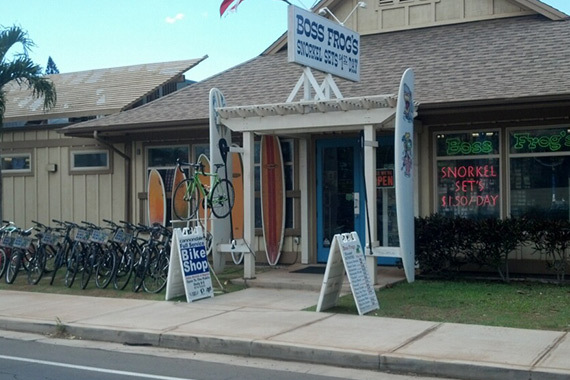 For driving directions, maps and store information, choose a location from the list or map. 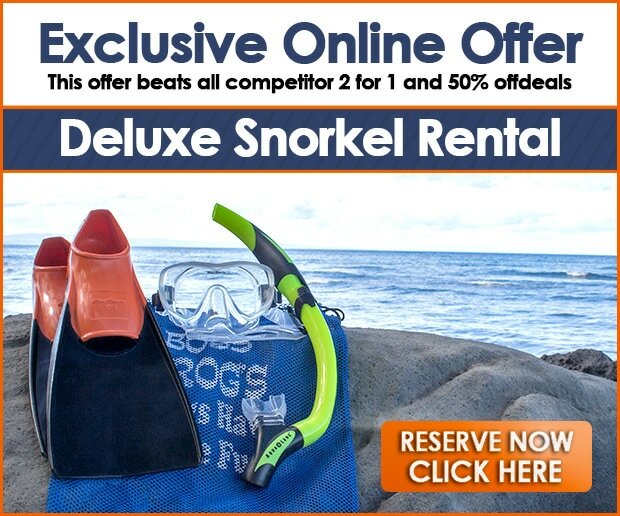 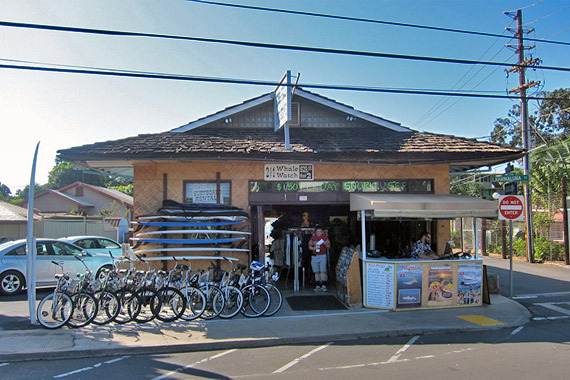 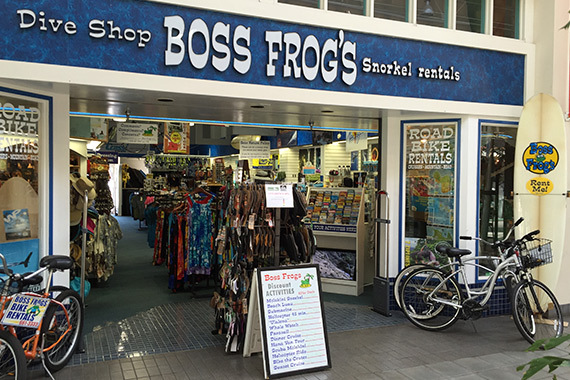 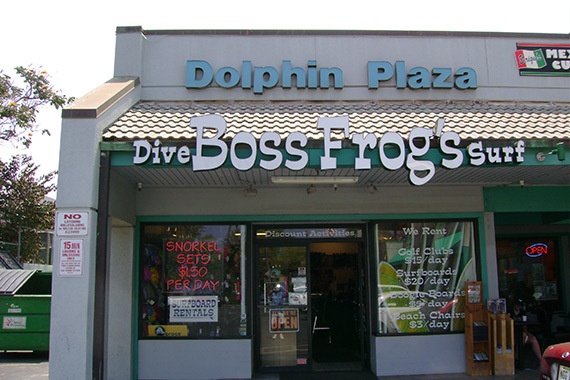 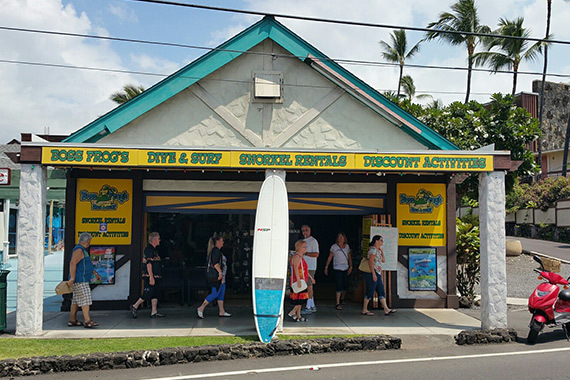 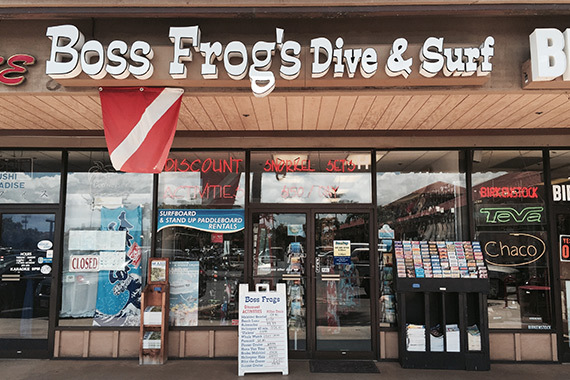 Boss Frog’s currently operates one great location on Kailua-Kona, Hawaii. 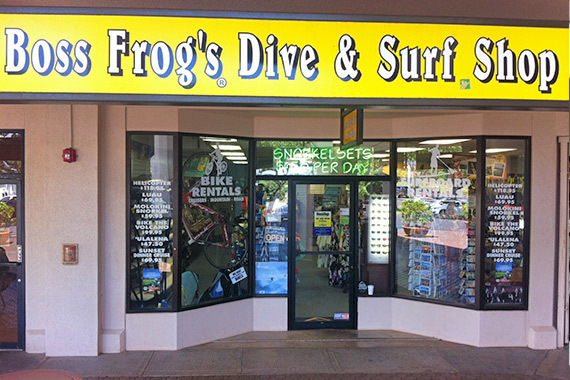 For driving directions, maps and store information, choose a location from the list or map.